We hope this section helps answer a few of the questions you may have. If would like more information, please call Westover Manor at 800-846-0816 or 319-363-3086. We look forward to hearing from you! 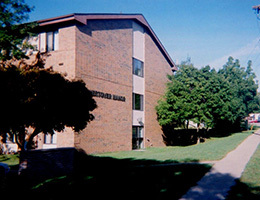 Q: What type of housing is Westover Manor? Is it low-income housing? 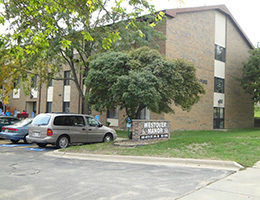 A: Westover Manor is a subsidized housing community for seniors over the age of 62 and the mobility/sensory impaired. The term “subsidized housing” means that the rent is based on income. A resident of the community pays approximately 30% of their adjusted income as rent. Q: Who pays the remainder of rent? A: The remainder of the rent is paid in the form of a subsidy. If a resident qualifies for a subsidy, the Department of Housing and Urban Development (HUD), a U.S. Government Agency, will pay the remainder of the rent. A: Resident rent is based on approximately 30% of income. A good estimate of your rent would be to take 30% of your gross annual income and divide it by 12 months. This will give you an estimate of what your monthly rent could be. A: Monthly rental of the apartment, as well as heat, water, and electricity. Q: Are the apartment’s cable ready? A: Yes, there are cable jacks located in the living room and bedroom. Q: Is Westover Manor a secure building? A: Yes, all doors are secure from the outside. You must have a key to get in or use the call system to summon your party. A: Westover Manor has 39 apartments. 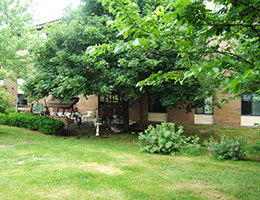 A: Westover Manor offers spacious studio and one-bedroom apartments, as well as a few more-accessible apartments for the sensory/mobility impaired. Q: Do you have scheduled activities for the residents? A: Yes, bingo, Wii Bowling, monthly birthday parties, and guest speakers are a few of the activities that are scheduled throughout the month. Q: What if I find that I need a higher level of care? A: Westover Manor has a Social Service Coordinator (SSC) on hand 3 days a week to assist residents to find the services they need to remain living independently as long as they can. Q: How do I begin the move in process? A: Yes, currently Westover Manor has a waiting list. Please call for the approximate waiting time. A: The Security Deposit is the same as one month’s full rent. This deposit is due in full at the signing of the lease. A: Westover Manor welcomes your pet. Fish and birds are welcomed without a deposit. We also welcome small dogs and cats with a pet deposit. There is a limit of one animal (cat or dog) per apartment and there are certain size and breed restrictions. Q: What is the Pet Deposit? A: The pet deposit is $150. We can make payment arrangements for this deposit. Beginning with $50 and then a monthly payment of $20 until the deposit is paid in full. A: Yes, there is one elevator located in the center of the building, easily accessible by all residents, on all floors. 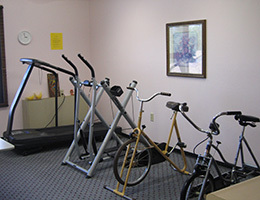 A: There is one laundry center at Westover Manor. It contains three coin-operated washers and three coin-operated dryers with folding and hanging areas and a sink for the convenience of our residents. 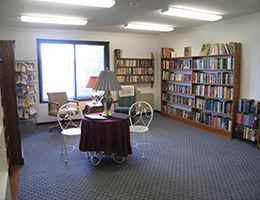 This center is located on the ground floor. Q: What is the garbage/recycling process? A: There is a garbage center on each floor of the building specifically for garbage purposes. Inside, there is a chute to dispose of trash directly into a dumpster. There are labeled bins for all recyclables on the first floor. 205 40th Street Drive S.E.